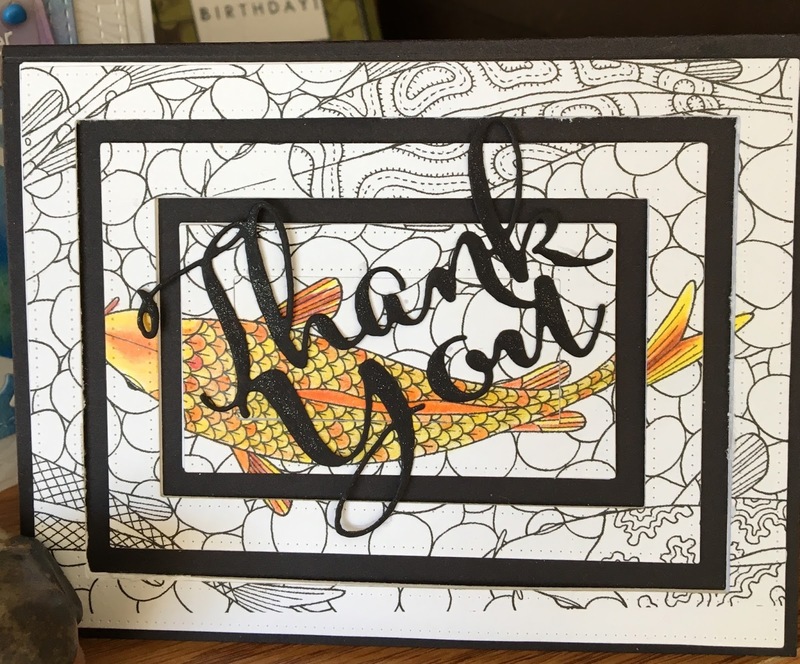 Hello and happy Monday )-: Today I'm sharing a quick card that I made as a thank you to a friend. I'm playing along with the Watercooler Challenges today, so please check them out. I found this really cool koi stamp and I'm afraid I can't remember where I got this set from...can we say I've got toooooo many stamps? Anyway, I decided to highlight the center image and colored with zig clean color markers. I die cut the panel with all the stitched rectangles that came together and just cut some black card stock to fill out the card...easy peasy, but I liked the result. Lastly, I die cut the word 'thank you' and adhered it to the top. Thank you for reading this, and the materials used are listed below. This is such a great Thank you card Mary. 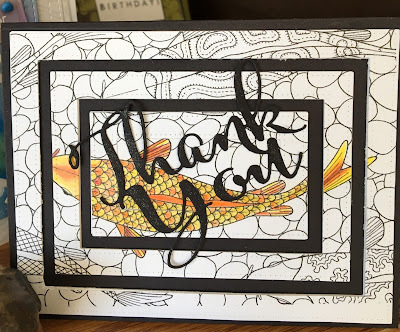 Love the Koi fish and how by highlighting the front one the rest just meld into the background papers. I also like the layering. Can't for the life of me remember what that technique is called with the layers, but it's perfect for this card. Thanks for joining us at the Watercooler Wednesday All Occasions, Anything Goes challenge this week.